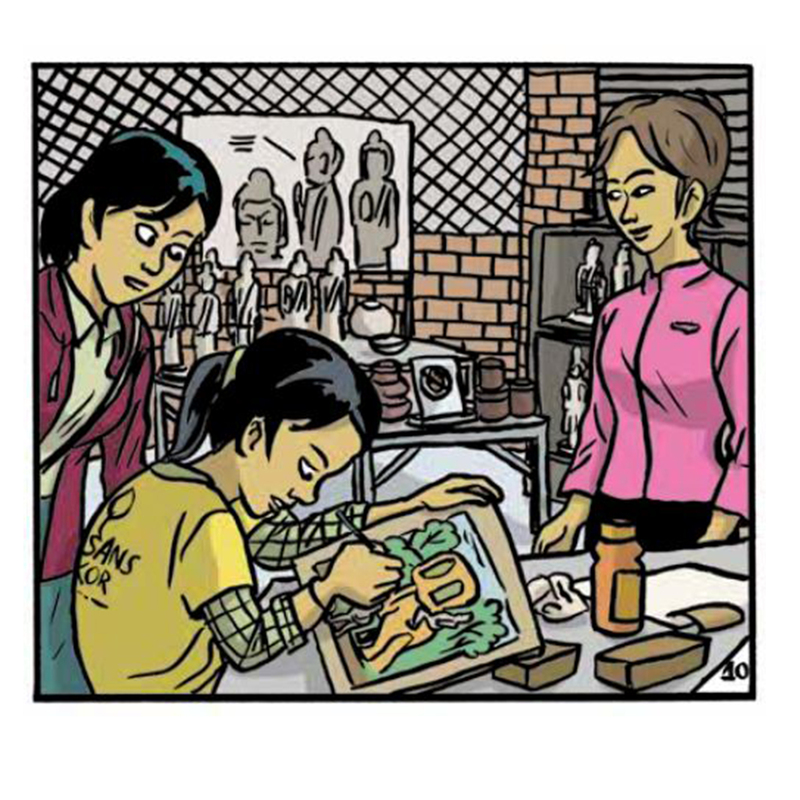 Did you know that Artisans Angkor released a comic book, available in-store? It tells the love story of two young Khmer people, Kanya and Rithy, in the framework of Cambodia’s Culture, Arts & Traditions. This project would never have been possible without Tian Veasna, the Cambodian Artist who agreed to bring this vision to life. 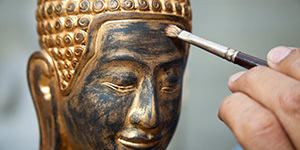 Artisans Angkor: Good morning Tian! 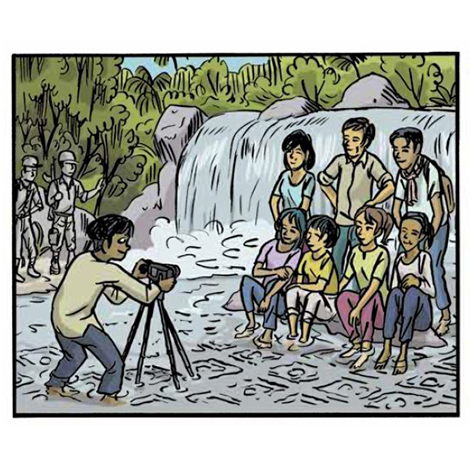 You are the author - among other things - of the renowned graphic novel L’année du Lièvre (the year of Hare – volume I, II and III, Gallimard Editions), and were born in Phnom Penh in 1975, 3 days after the storming of the capital by the Khmers Rouges. 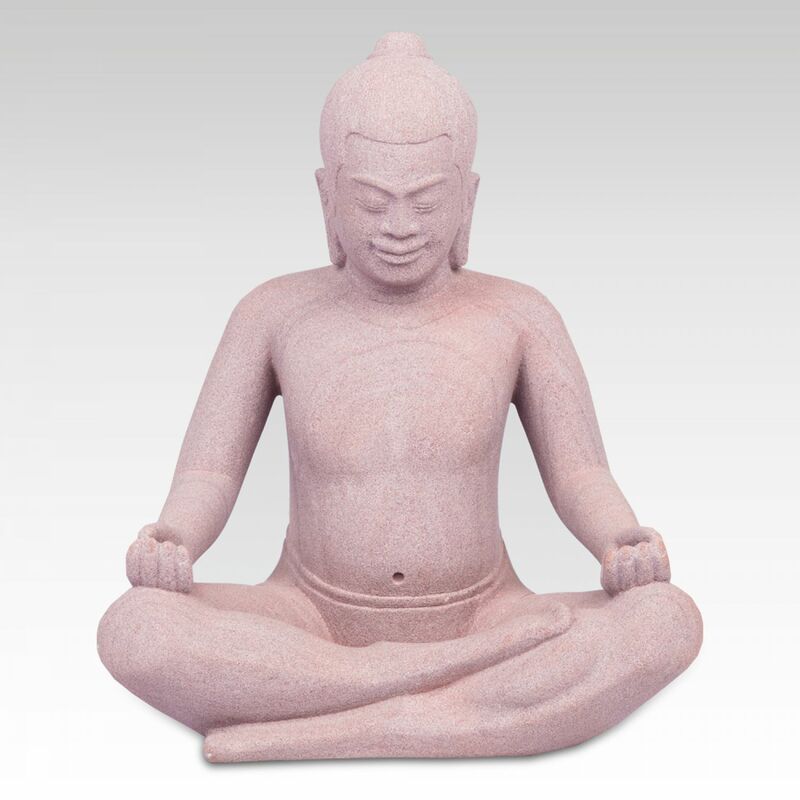 Your work is always thought-provoking and deeply related to Cambodian history. Why did you agree to work with us, and to design our first comic book? Tian: Good morning! My job is to tell stories through comic books or cinematic animations. 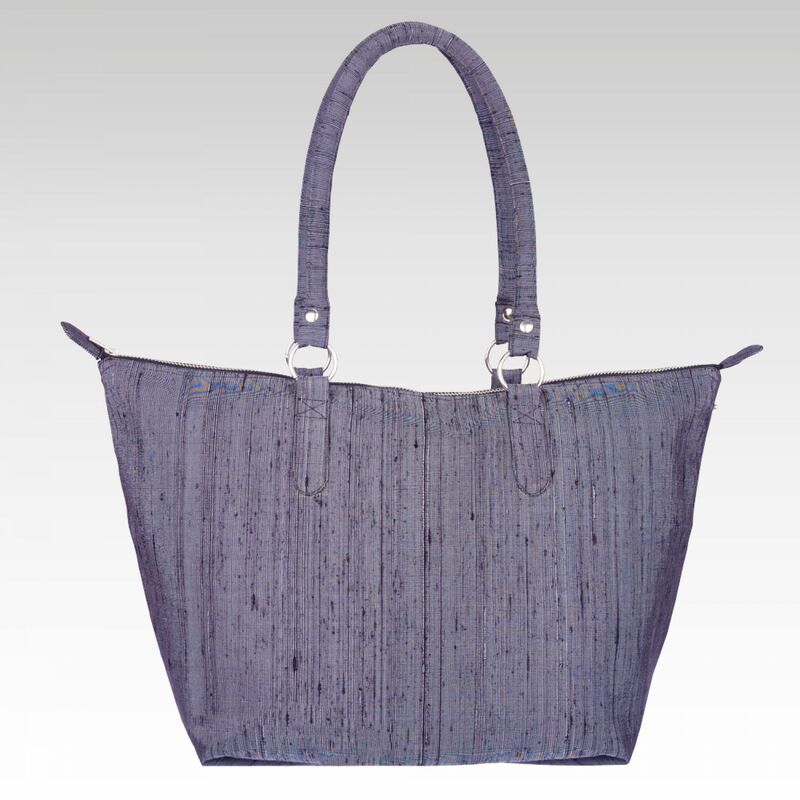 I was really pleased to collaborate with Artisans Angkor, because I felt your vision deserved to be known, and well-known. With comics, you can share lots of emotions, you take the reader through a graphic and narrative universe... 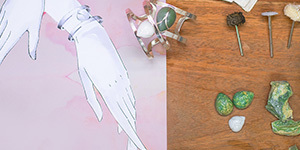 Above all, I feel connected with Artisans Angkor’s mission: striving for a social development and for the preservation of traditional Khmer know-how. AA: Would you say that this project was different from your previous books? If so, why? Tian: Every project is different from one another per definition, partly because every topic is unique. My previous work is related to a very dark period in Cambodian History. My project with Artisans Angkor was like a breath of fresh air; it gave me the opportunity to tell what happens next: how Cambodian people managed to return to living. Before creating the story of Kanya and Rithy, I was really happy to visit and meet Artisans Angkor’s employees and artisans, to hear what they all had to share about their life and experience in the company. The positive energy I felt and the exceptional stories I heard from them were the inspiration I needed to create this love story. 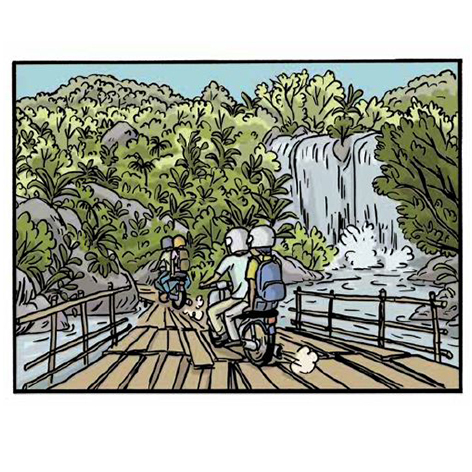 AA: In Kanya and Rithy, you chose to show to the reader several beautiful places that can be found in Cambodia, such as Phnom Kulen for example. Could you tell us more about the history of Phnom Kulen, and why it is important to you? Tian: In Cambodia, the story of Phnom Kulen has a huge symbolic value. It is a major pilgrimage destination, a way for many people to go back to origins. As Artisans Angkor is located in Siem Reap, it was only normal to mention this mythical and inescapable place that all Khmer people love. It was also a willful allusion to Khmer History, back in Angkorian times. AA: A large part of your heart belongs to Cambodia. 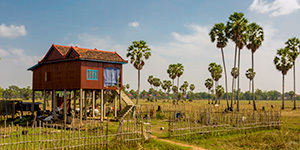 What do you think everyone should know and remember about Cambodia’s specifics & traditions? 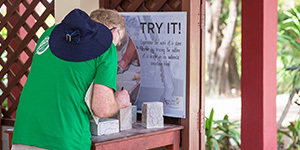 In other words: what would you say to someone visiting Cambodia for the first time? Tian: The Khmers Rouge era has been a massive trauma for all Cambodian people, but still, they had the strength and courage to move forward. Thanks to this attribute, local traditions and know-how could have remained unspoilt. If you are going to Cambodia for the first time, you have to visit - of course - the magnificent Angkor temples. You should also visit places where you can discover traditional Khmer know-how in handicrafts; in any cases, people will always welcome you with a smile. AA: Can you tell us about your next projects? Tian: I am currently working on a ghost story, taking Khmer culture and beliefs as a major inspiration…. Tian: Thank you for this interview. I really hope everyone will be happy to read the story of Kanya and Rithy. Do not forget that it is based on real events! AA: Thanks again dear Tian for your time, and for all the precious explanations and stories you kindly provided!